Premium crop broccoli is a nice and flavorful broccoli. No wonder Premium Crop is an All-American Selection seed winner! This variety has a fine texture with 9″ single heads and is able to hold its mild flavor even in very hot conditions. Broccoli is a hardy, cool-season vegetable bringing colorful green nutrients to the table. 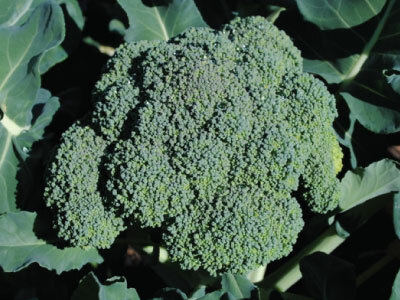 Broccoli is part of the Cole Crop family, which also includes cabbage, kohlrabi, kale and more. It can be grown twice a year, in the late spring and the fall. 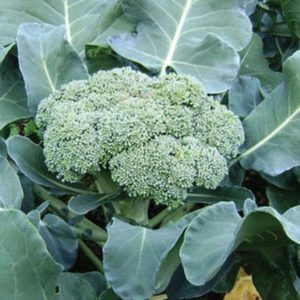 Before Planting: Broccoli prefers a well-drained, fertile soil high in organic matter, and a pH of 6.0–7.5 with a consistent supply of moisture throughout the growing season. Irrigate regularly for best results. Broccoli does not generally do well in hot weather. 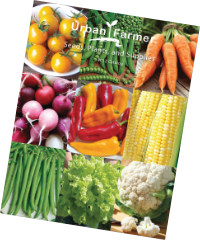 The best success is with spring and fall crops. 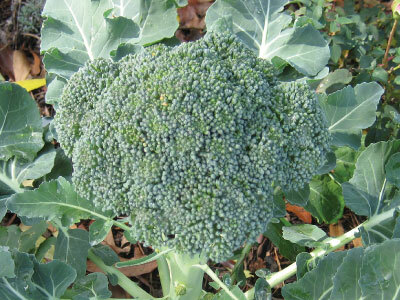 Planting: Use early and midseason broccoli varieties in the Spring. Sow 2 seeds per cell or 3–4 seeds/in. in row flats. Seedlings should be ready to transplant in 3–4 weeks. If possible keep soil temperature at 80°F until germination, then reduce air temperature to about 60°F. Ensure good air circulation and light. Transplant outdoors 10–18″ apart in rows 18–36″ apart. 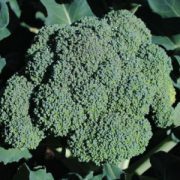 Broccoli prefers cooler growing temperatures, between 55–75°F but will produce good crops under warmer, summer conditions. For a Fall crop, start seedlings indoors 3-4 weeks before transplanting. as above in May and transplant to the garden in June–July. To ensure mature heads, seed the crop early in areas where heavy freezes occur early in the Fall. Successful broccoli crops can be grown where winters are rarely below 32°F. Transplants can be set out from September to February in these regions. Sow 3–4 seeds 12″ apart, ½” deep, rows 18–36″ apart, thinning to one plant in each group. Watering: Broccoli likes cool soil, so adding grass clippings around the plants helps. Also, water deeply and often. When watering broccoli, do not get water on the developing heads. Some varieties of broccoli are heat tolerant, but still require adequate watering, such as 1 to 1.5 inches of water per week. Days to Maturity: Broccoli is ready to harvest when florets are tightly closed in the center but begin to loosen slightly around the edges. Harvesting: Before flower buds open, cut center head. Harvest secondary side shoots regularly to encourage continued production. If buds begin to show a yellow color, harvest immediately. Tips: Repel flea beetles and root maggots on young seedlings by covering with floating row covers from day of planting. Treat flea beetles with pyrethrin or azadirachtin if heavy pressure is observed. For cabbage worms and loopers, use Bacillus thuringiensis (Bt.). AVG. Seeding Rate: 1,000 seeds/83′, 50,000 seeds/acre spaced 7″ apart in rows 18″ apart.